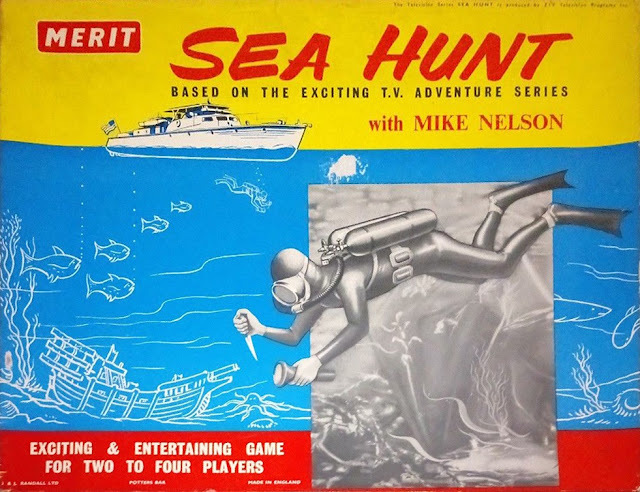 Sea Hunt was an American TV series starring Lloyd Bridges as former US Navy frogman Mike Nelson. It first aired in January 1958, running for four seasons and 155 episodes. 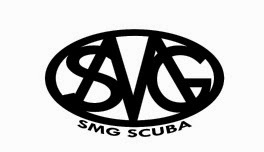 Rejected by the three TV networks of the day (ABC, CBS and NBC), the series went straight into the syndicated market. 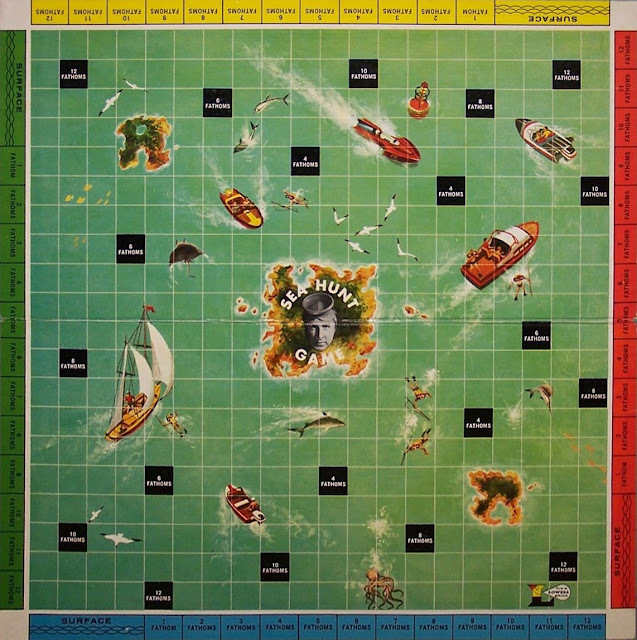 Producer Ivan Tors also made the short-lived series The Aquanauts which was renamed Malibu Run when the emphasis shifted to land-based adventures. 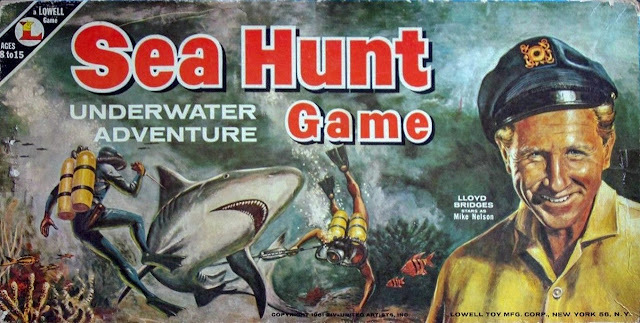 His company was later responsible for the underwater sequences in the James Bond film Thunderball as well as his own Around the World Under the Sea. 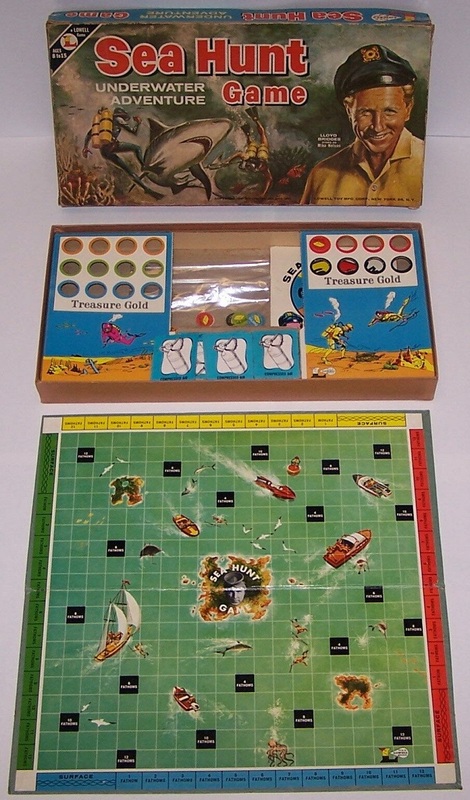 Several of Tors' other projects appeared both in the cinema and on TV: Flipper, Clarence the Cross-Eyed Lion/ Daktari and Africa Texas Style/Cowboy in Africa. It's interesting that the UK version doesn't feature any images of Lloyd Bridges. Budget reasons perhaps? 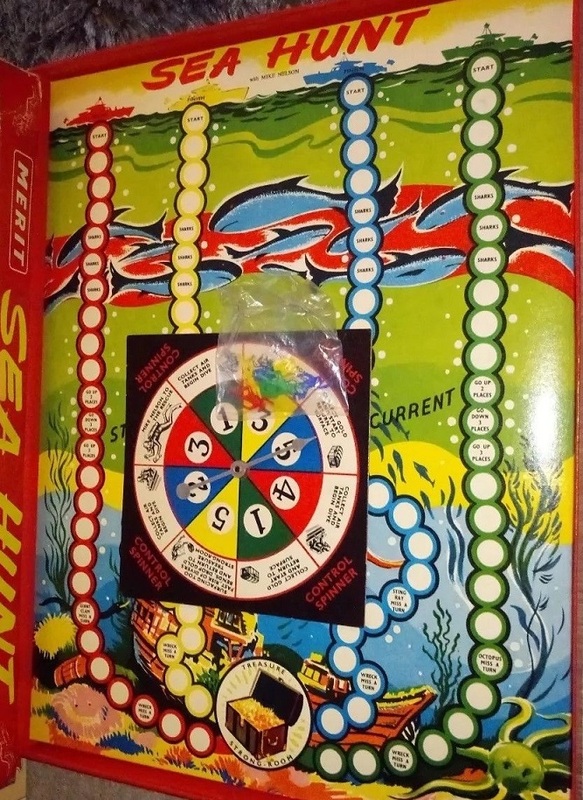 More Sea Hunt goodies coming soon!